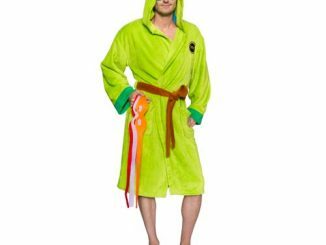 What does the clown prince of crime wear around the house? 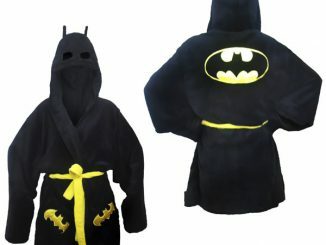 This Batman Joker Cotton Bath Robe of course. 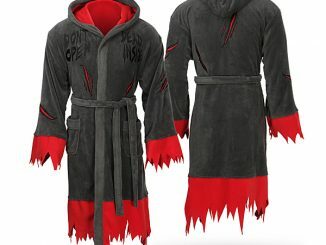 It’s perfect for lounging around the house while waiting to spring a trap on Batman. 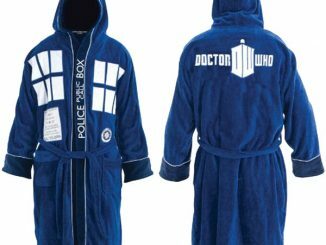 Paint your face and put on this robe and have a good old time, laughing maniacally. 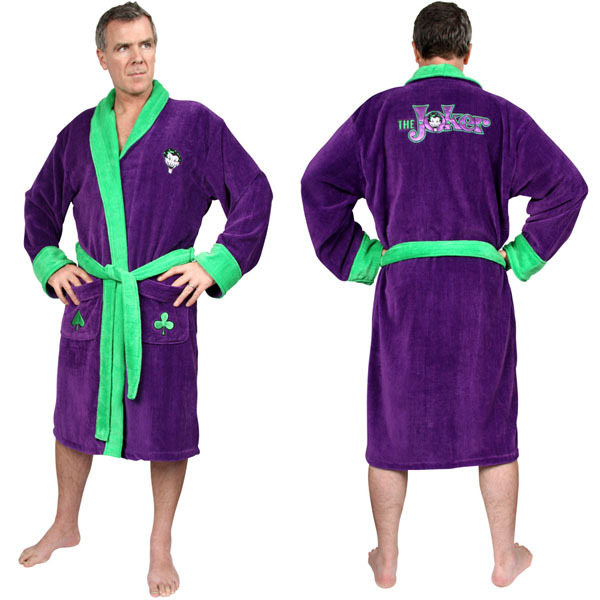 This robe features the Joker’s purple color with green trim. 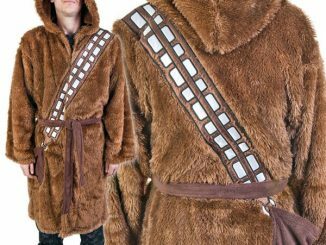 His face is even sewn into the left breast and a Spade and a Club are sewn onto the front of each pocket. 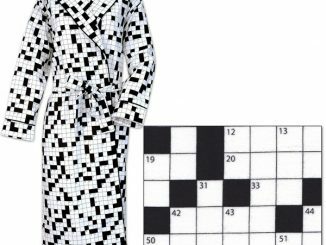 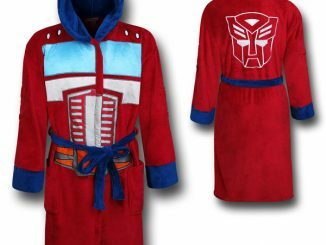 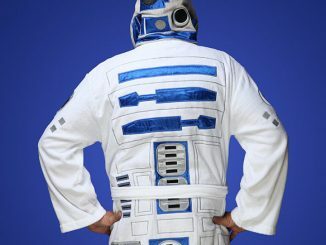 It’s a crazy bath robe for a crazy guy. 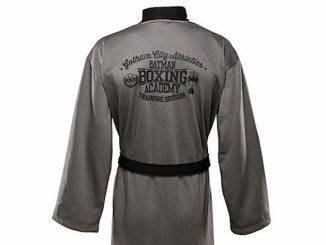 If that isn’t enough, the Joker’s large and crazy head is sewn into the back inside his name. 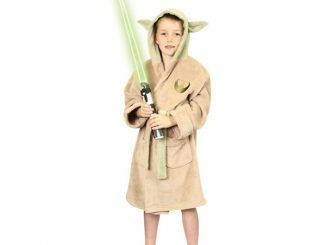 It measures 44-inches long from shoulder to bottom and will fit most adults. 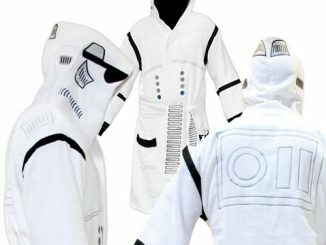 Just $59.99 from Entertainment Earth.